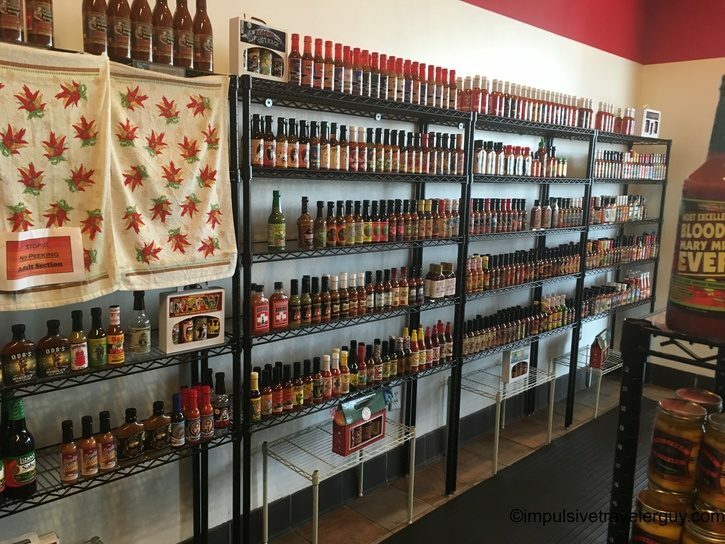 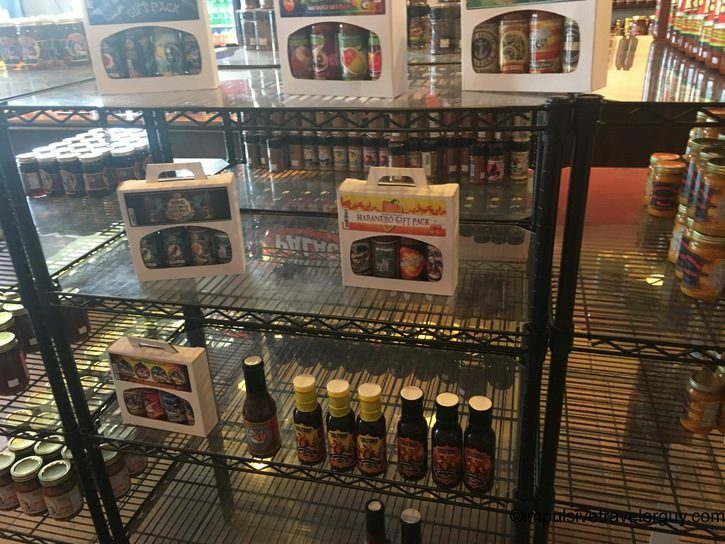 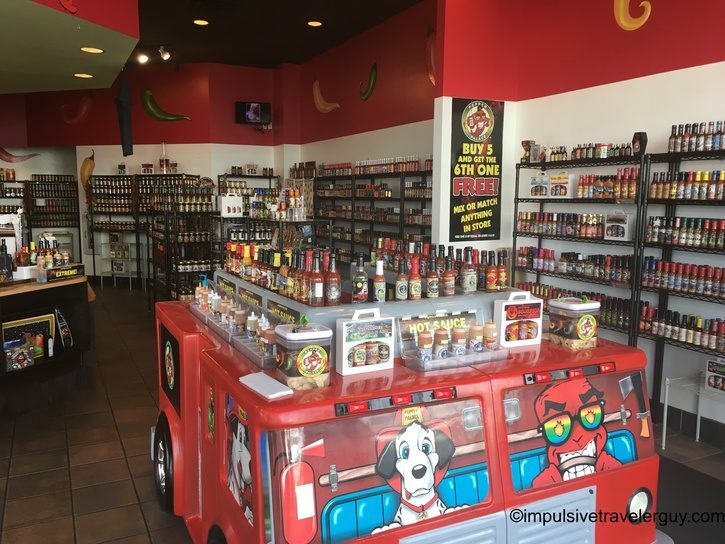 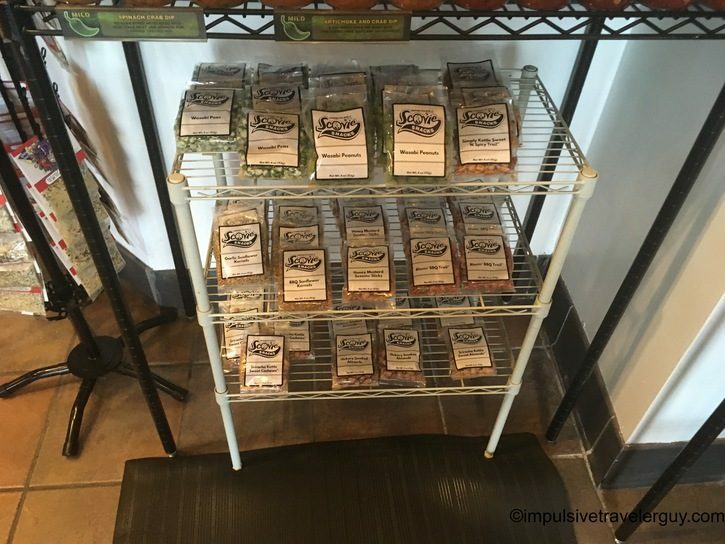 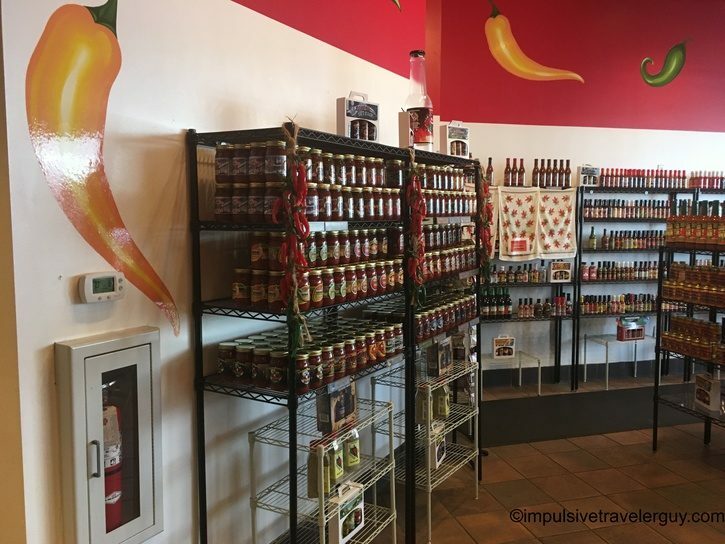 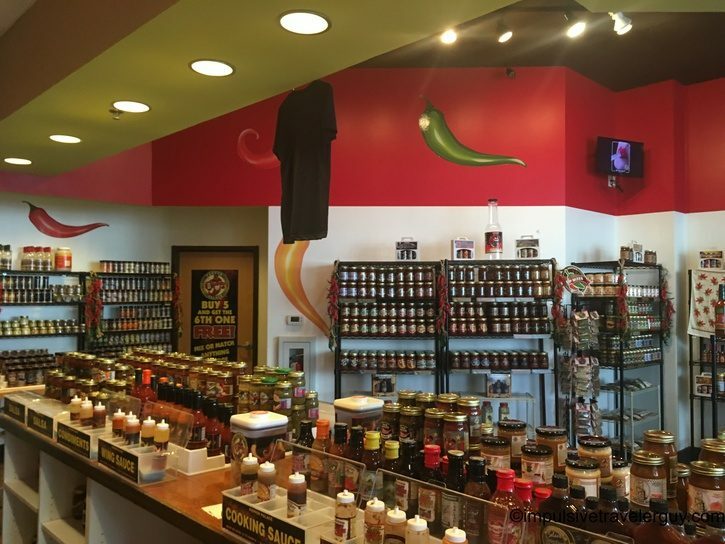 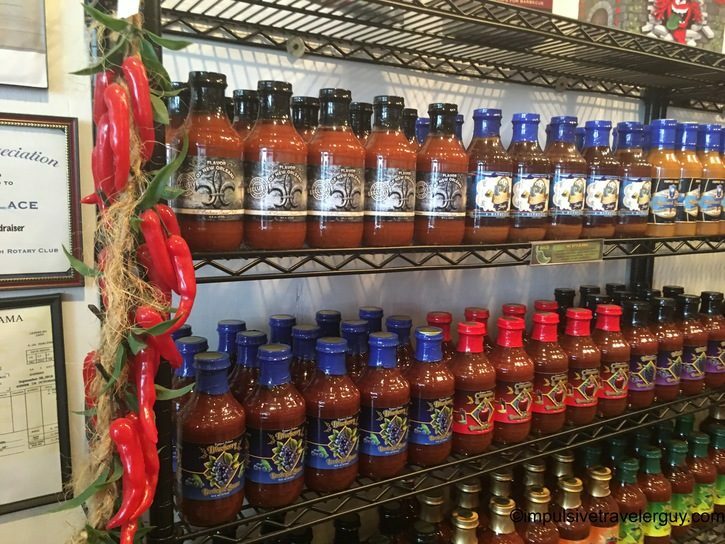 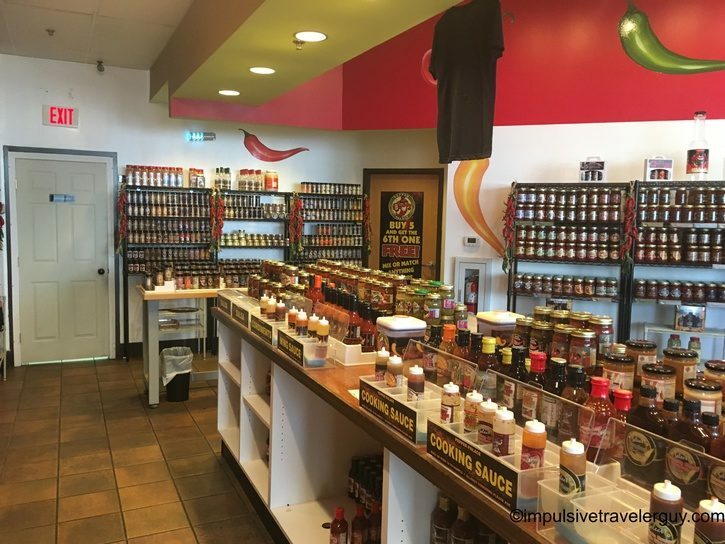 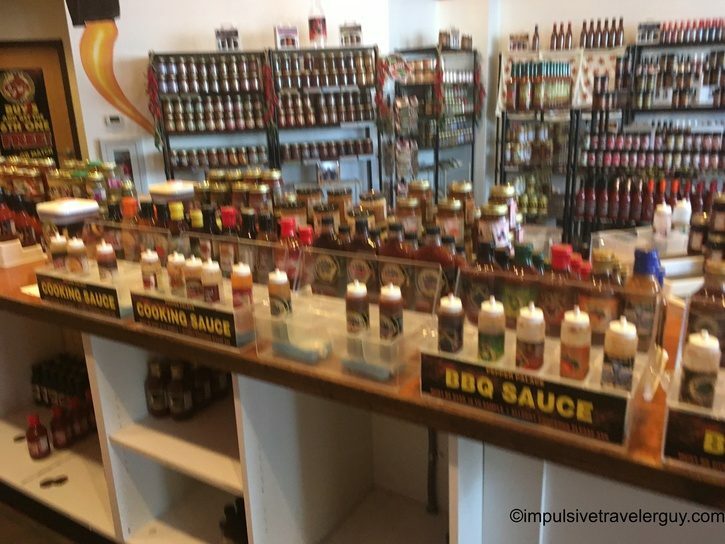 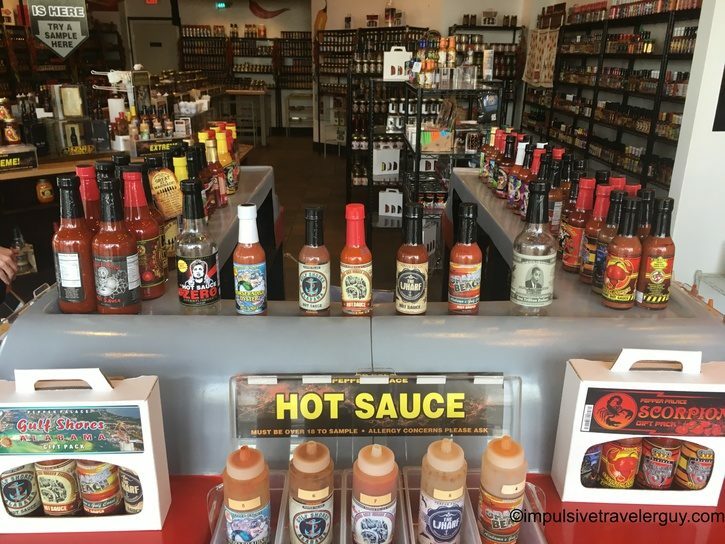 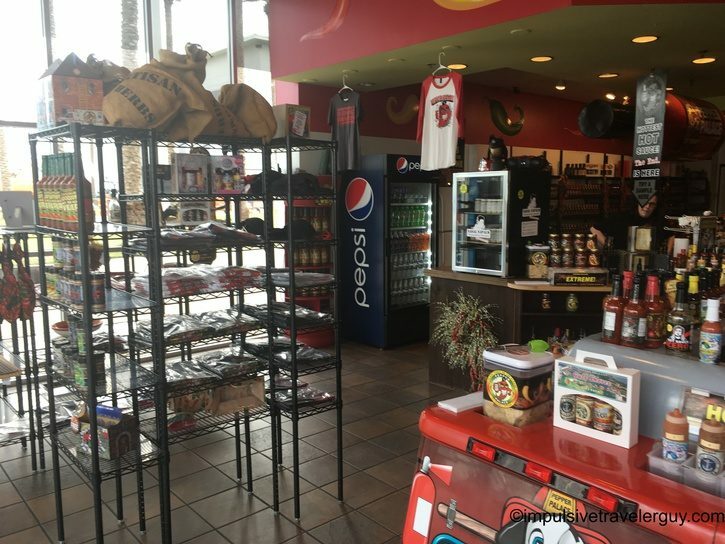 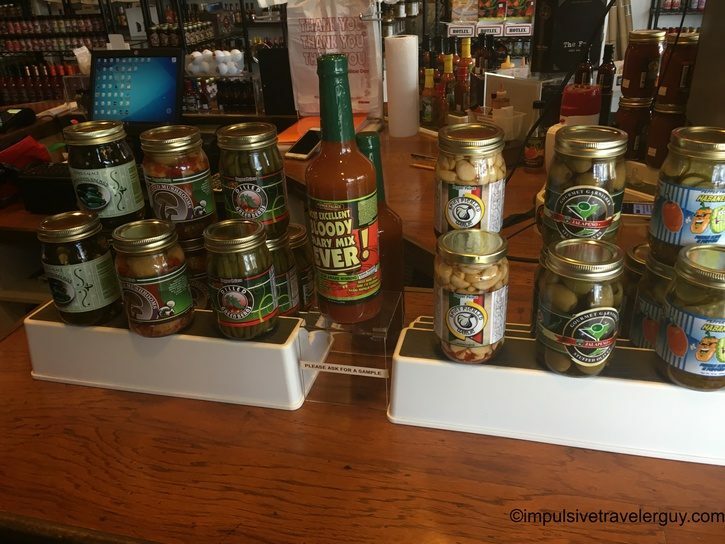 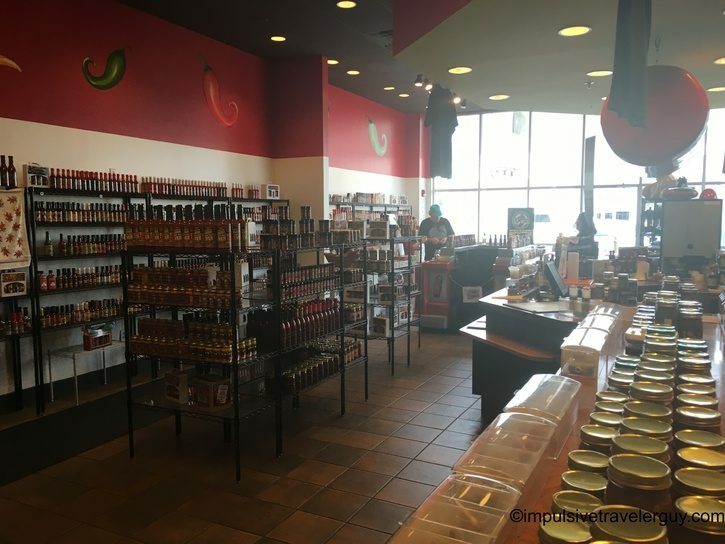 Pepper Palace is a store that specializes in hot sauces. 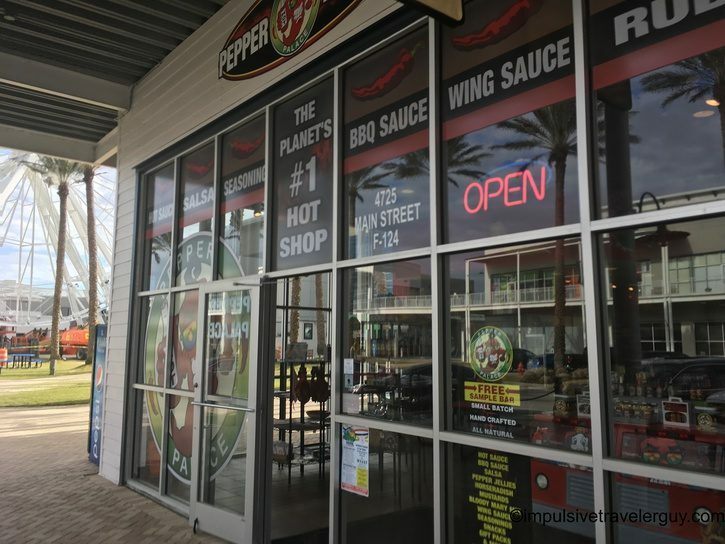 My uncle recommended that I stop here since I would be passing through Orange Beach, AL. 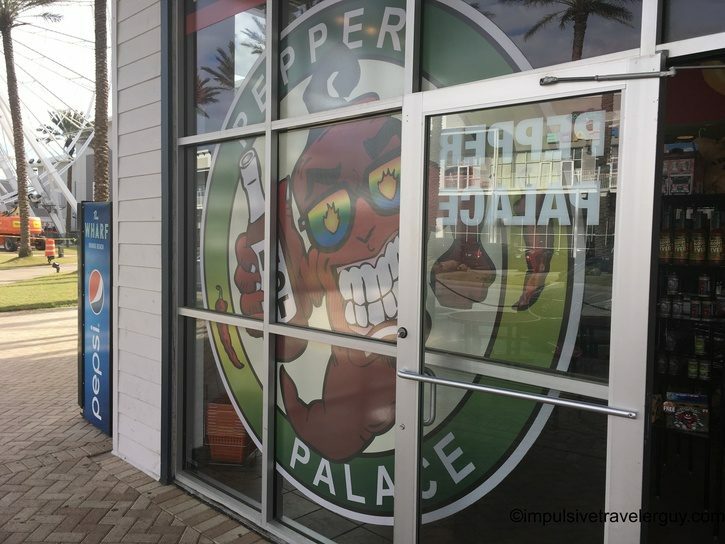 Pepper Palace is one of the stores in The Wharf shopping center. 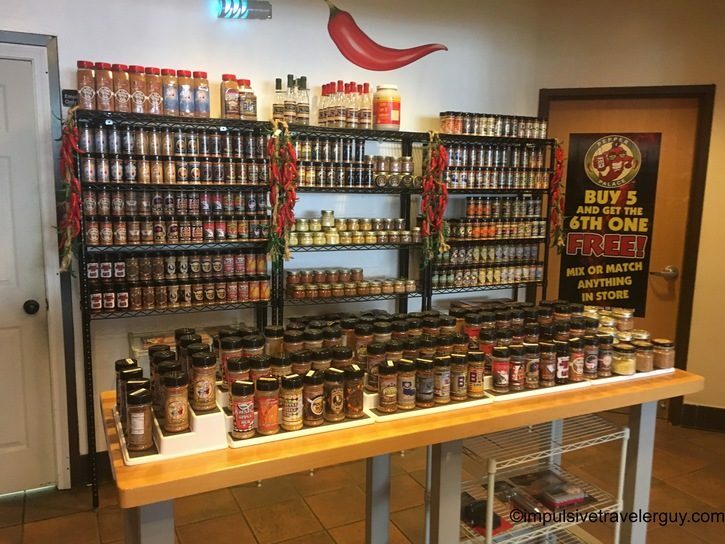 I walked inside and saw I was in a chilihead’s heaven! 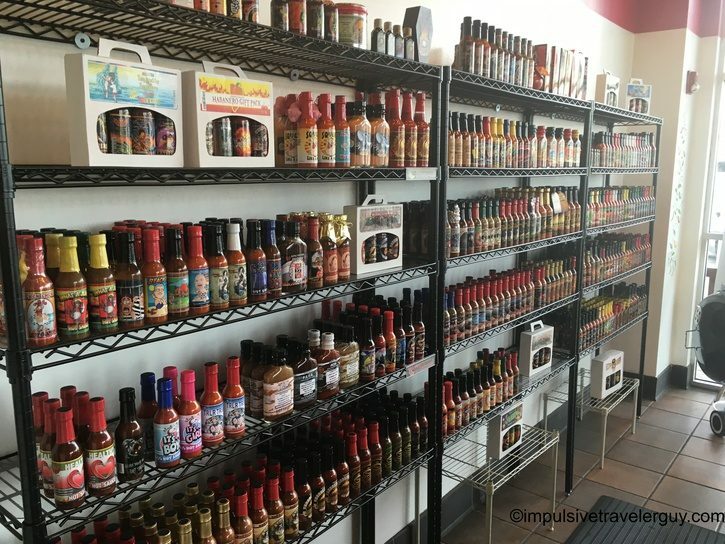 In many ways, I didn’t know where to start! 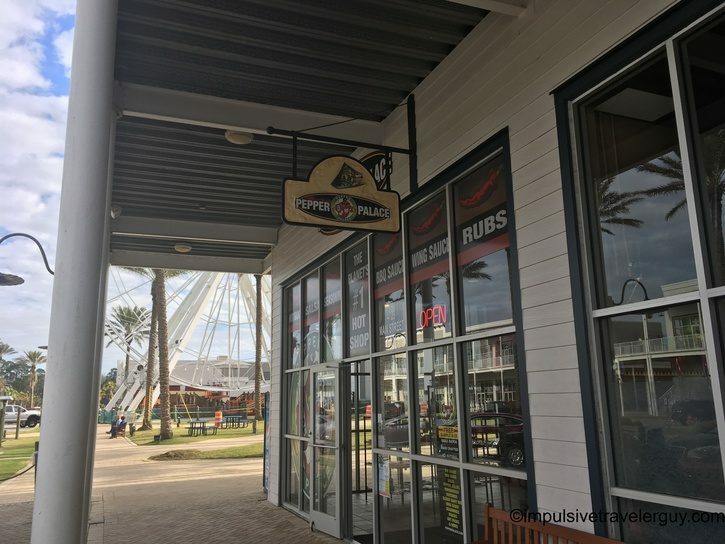 I walked around to scope out the place. 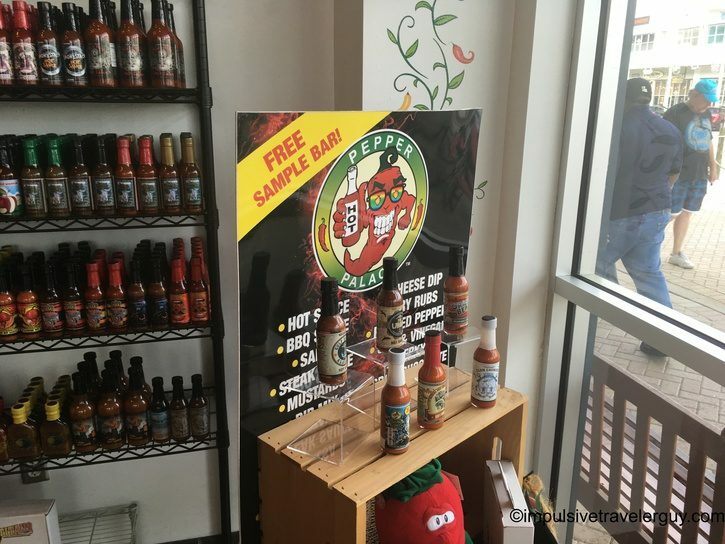 After walking around, it was time for samples! 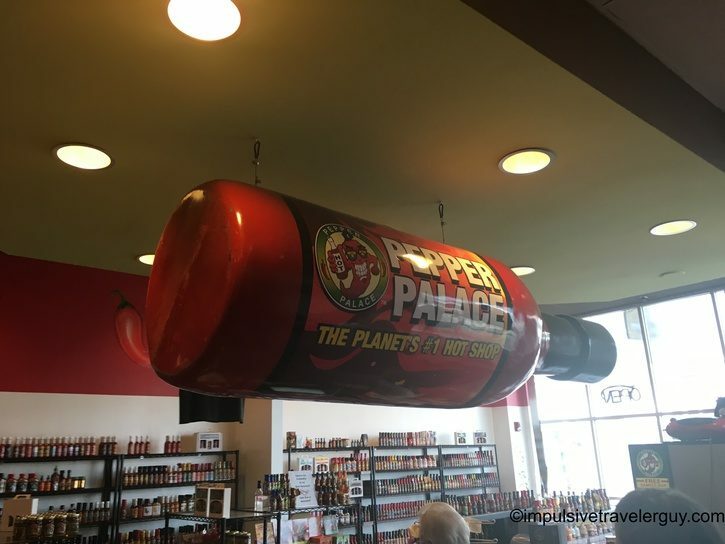 I talked to the lady behind the counter. 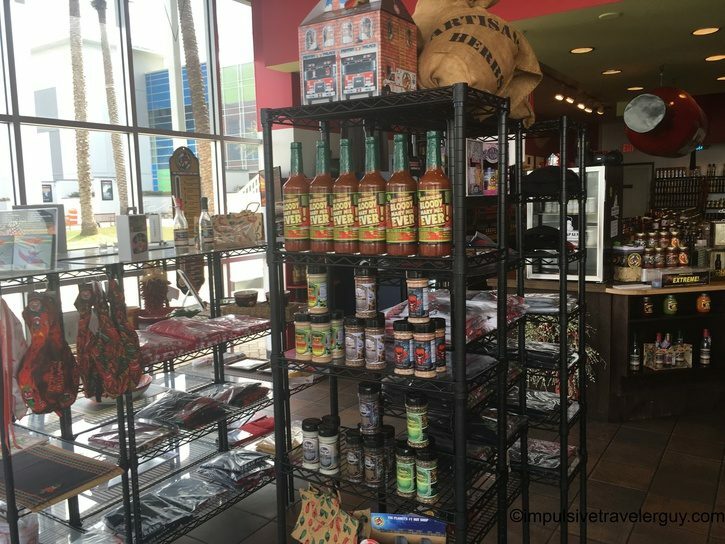 She was very helpful, and I found out she was originally from Lafayette. 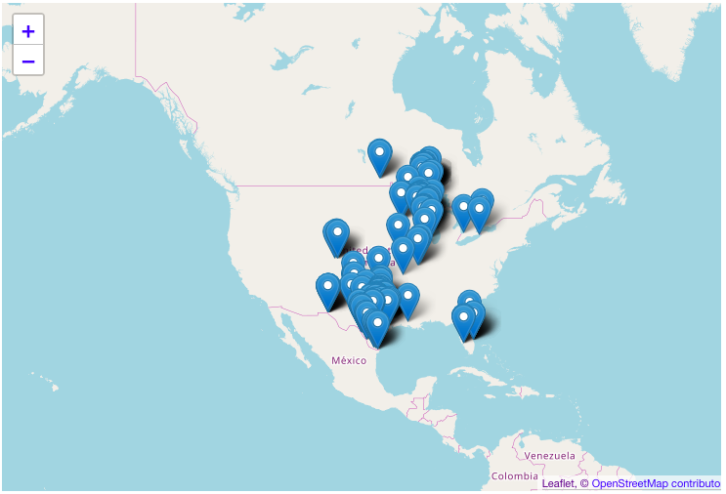 It’s kind of crazy because I was just there the day before! 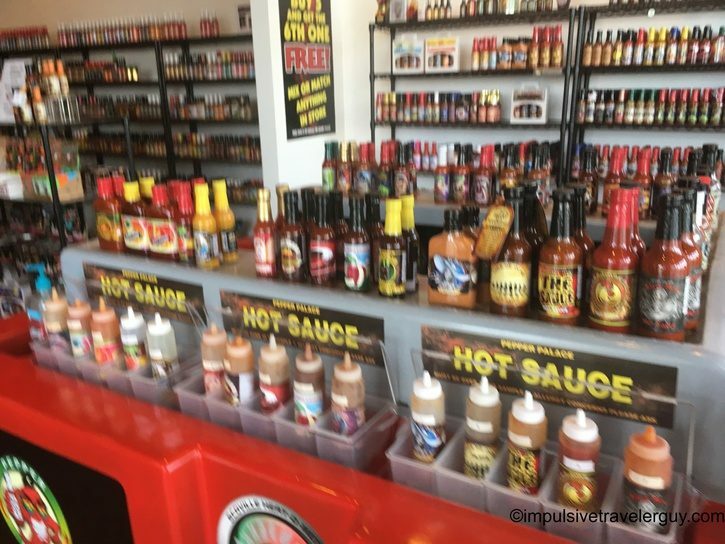 She explained to me their spiciness rating system and where it related to my tastes. 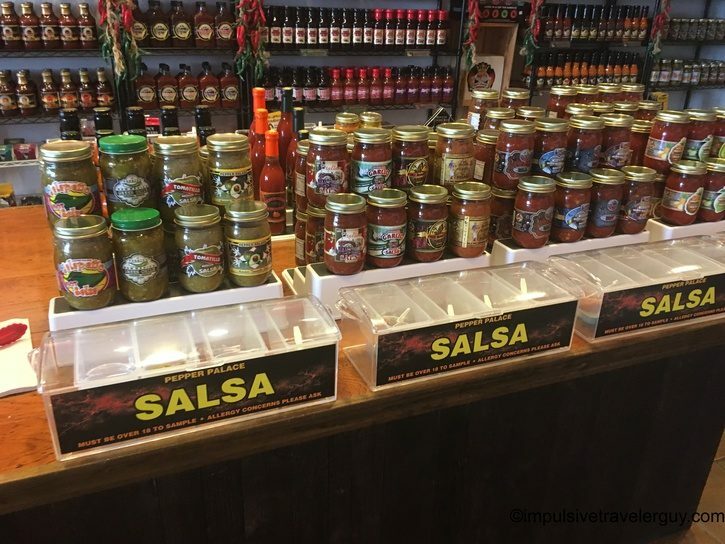 I dove in an sampled a few. 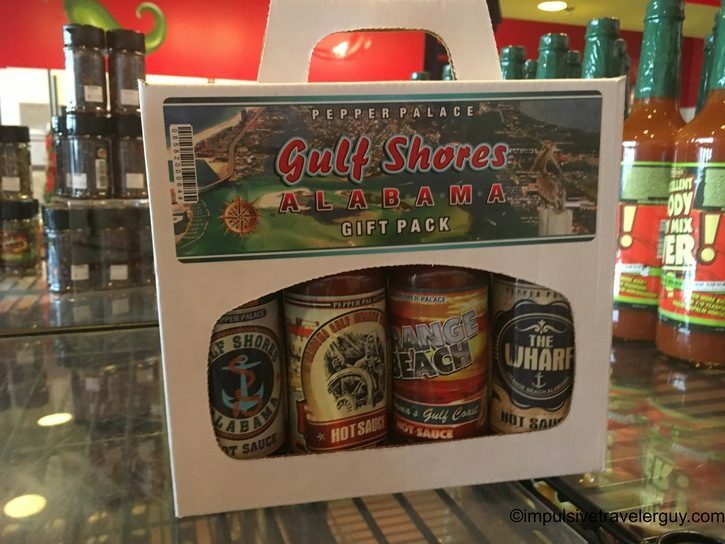 I ended up buying the Gulf Shores gift pack. 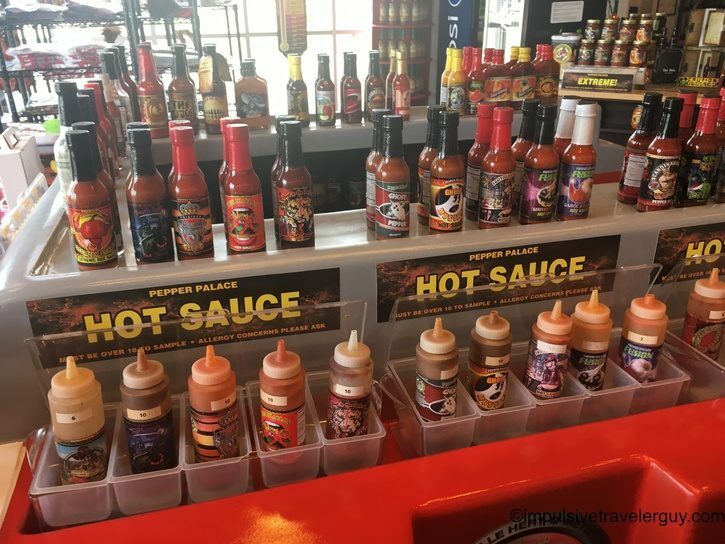 Each hot sauce represented something about the area. 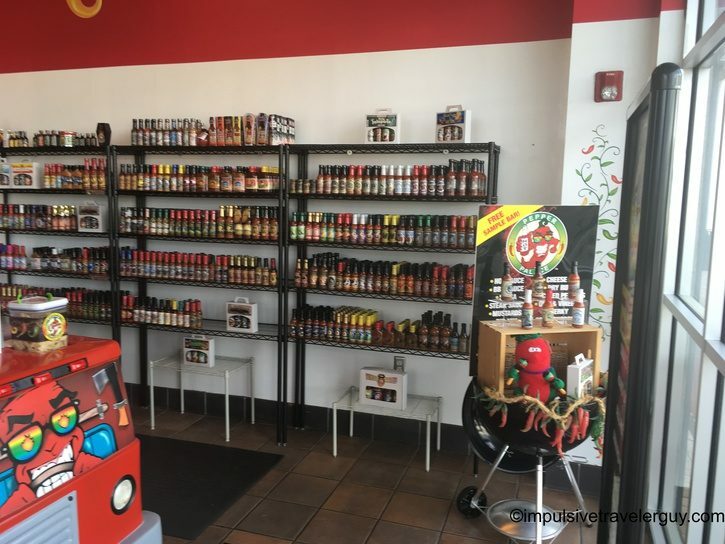 If I were rich and had a truck, I might have bought one of each hot sauce. 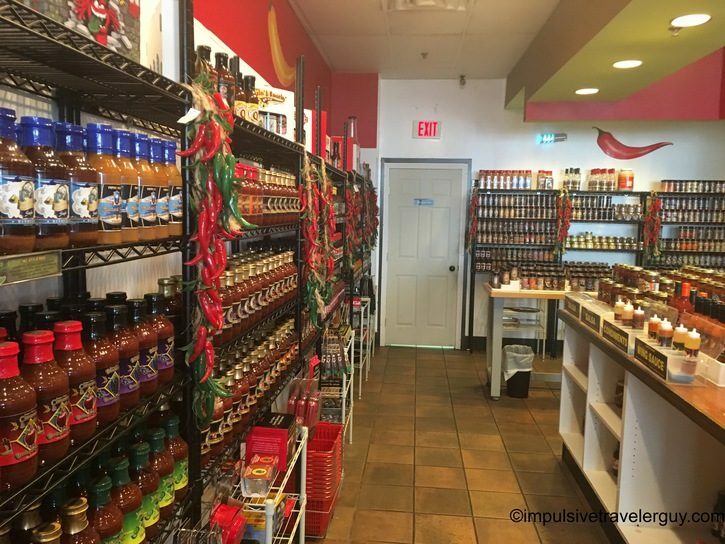 I do love my hot sauce and this place is the perfect place to buy it. 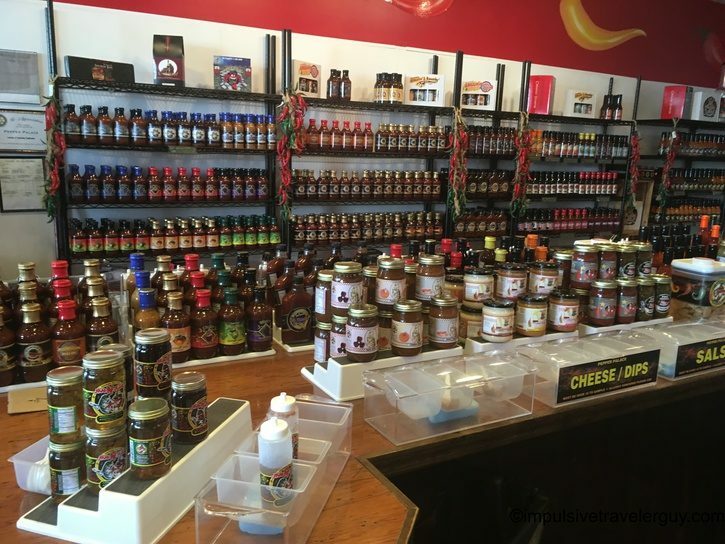 There is such a massive selection that they appear to have something for everyone. 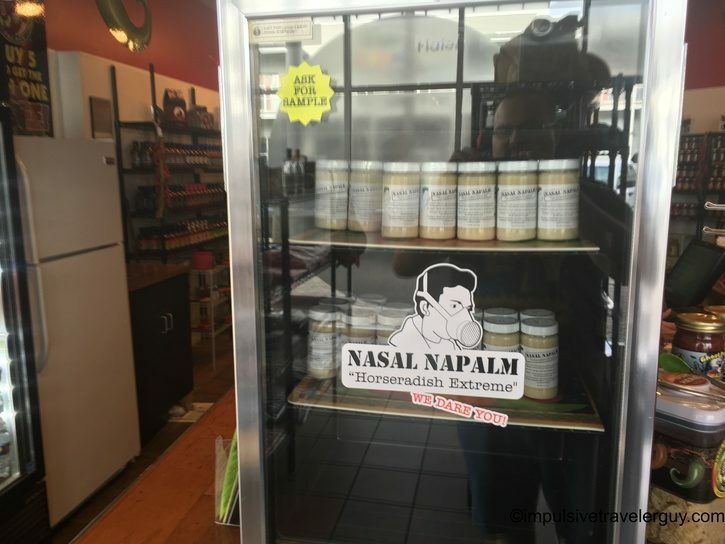 I’m glad I took my uncle’s recommendation. 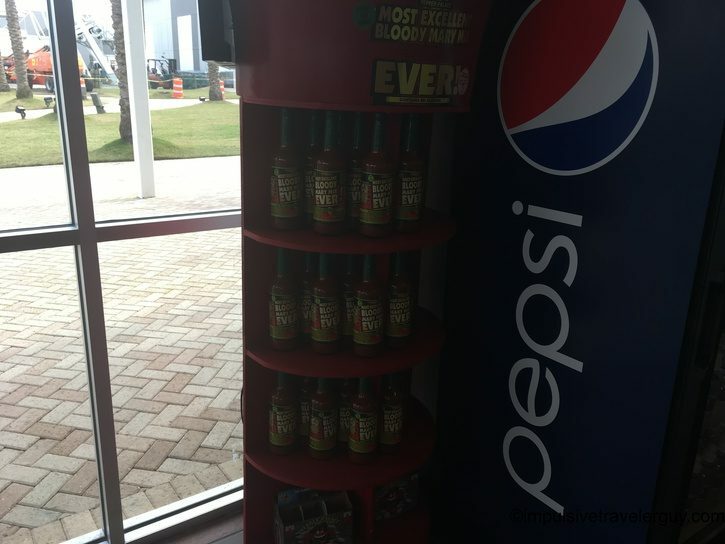 Next time I’m passing through, I’ll have to stop again and load up the trunk!